Follow each step to successfully view your Instagram Insights in Rival IQ. This article will walk you through how to create an Instagram Business Profile, connect your Instagram Business Profile to Rival IQ, and troubleshoot connection problems. Note: Instagram Insights in Rival IQ is only available on Engage and Engage Pro plans. Step 1: Are you looking at the right landscape? You must be tracking the Instagram handles as companies in your landscape. If you have multiple landscapes, make sure you're looking at the landscape with those companies in it. For example, if I want to analyze @rival_iq in Instagram Insights, I should select the landscape with Rival IQ in it. Step 2: Are you tracking the right Instagram handles in this landscape? On the landscape page, make sure you're tracking the right Instagram handle for those companies. Do this by hovering over the checkmarks in the Instagram column. For example, I've checked that my Rival IQ company is correctly tracking the @rival_iq Instagram handle. Step 3: Is your handle an Instagram Business Profile? 2. Using your phone (seriously, don't try it on the desktop), link your Instagram account to the Facebook page. 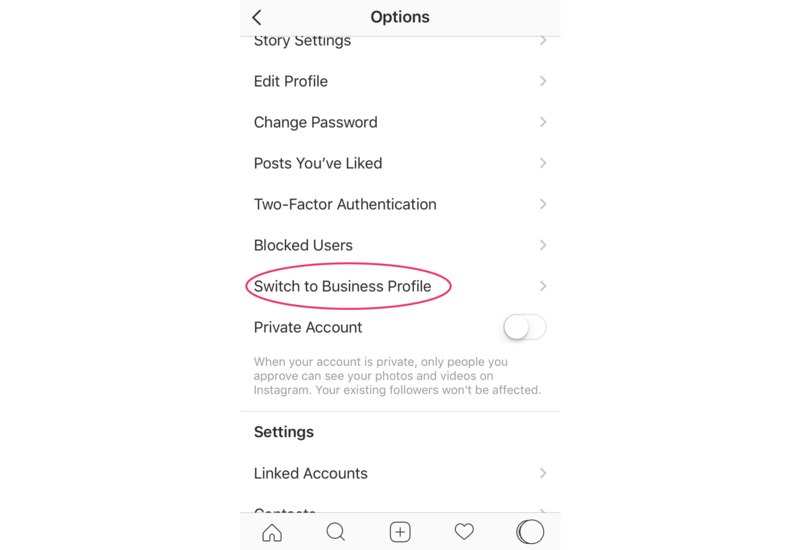 Go to your account settings in the Instagram app, and select "Switch to Business Profile". 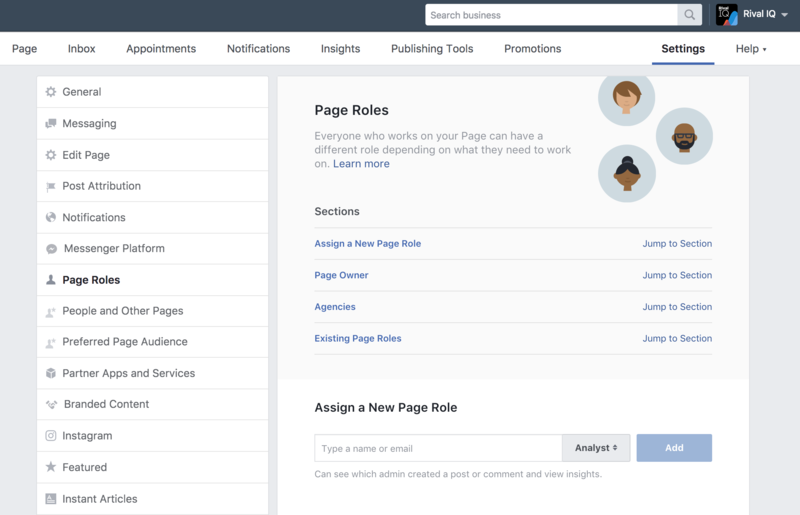 Step 4: Are you an Admin or Analyst on the Facebook page? 1. Ask an admin or analyst of the Facebook page to connect their Facebook token to Rival IQ. Once they've signed into Rival IQ, they can connect tokens on the Connected Services page. 2. Ask someone to give you admin or analyst permissions to the Facebook page. They can do this by going to Settings for the Facebook page. Then in Page Roles, and Assign a New Page Role to you as an Analyst. Once you're given permissions, head to the Connected Services page and click Re-sync Pages. We're happy to help! Use the support button or email support@rivaliq.com to reach out to us.